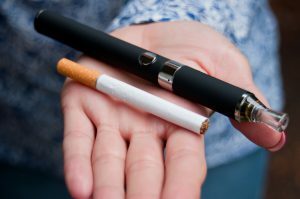 A study from the Queen Mary University of London claims that the use of e-cigarettes is more effective for quitting smoking than nicotine patches. The study found that around 18% of e-cigarette users were smoke-free within a year, as opposed to 9.9% of people using nicotine patches and products. The Australian Government’s official position on e-ciagrettes is: “The existing evidence indicates that e-cigarettes are not harmless products”. However, “the Chief Executive Officer of the National Health and Medical Research Council (NHMRC) issued an updated statement on e-cigarettes, which notes that there is insufficient evidence to support claims that e-cigarettes are safe or to conclude whether e-cigarettes can assist smokers to quit”. According to News.com.au ATHRA chairman, Conjoint Associate Professor Colin Mendelsohn said: “Vaping is a far less harmful alternative for smokers who are unable to quit and has helped millions of smokers quit overseas”. Professor Mendelsohn told News.com.au that smoking rates had stalled in Australia since 2013 and vaping was a potential lifesaver for smokers. Legalise Vaping Australia campaign director Brian Marlow told News.com.au that 55 studies showed vaping was less harmful than cigarettes.